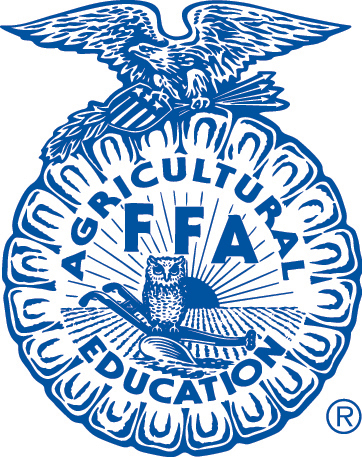 Interested in joining Junior FFA? Please complete this online membership form. This is only for NEW junior FFA members. 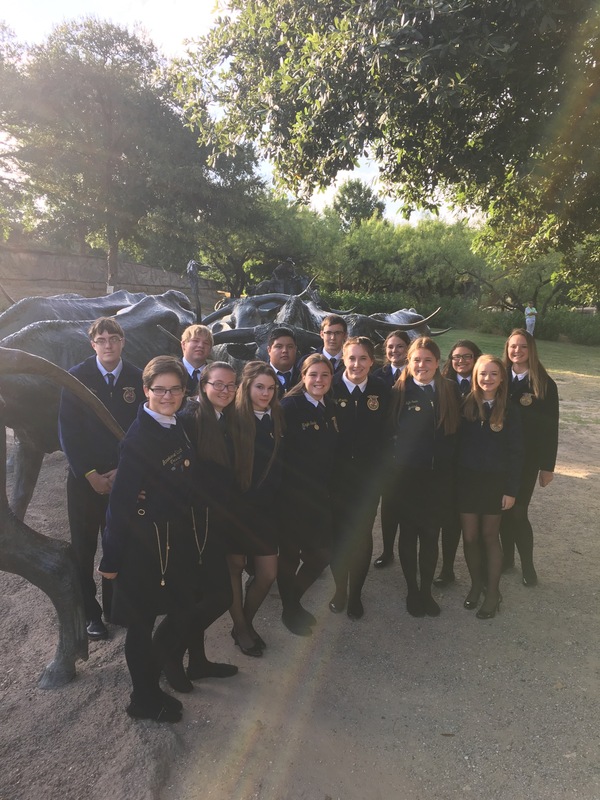 In July, 14 FFA members attended the Texas FFA State convention in Dallas. What a trip! Brayan Sanchez competed in Spanish Creed Speaking, our chapter was recognized for the Golden Horizon award, Anneliese Olbrich, Megan Krupa and Dakota Needler received their Lone Star degree and gold chains and Megan Day accepted an $18,000 college scholarship! Meanwhile, we enjoyed festivities at Six Flags Over Texas, Medieval Times, the Dallas Zoo, Escape This: Dallas (we all escaped!) and The Main Event. The Waco District convention is in the books! Congratulations to Mallory Day and Brison Tullos who advanced to area with with Star Greenhand applications. Mallory advanced to state! Beth Martens, Claire Martens, Kayla Seale, Kyla Seale, Jennifer Stanley and Megan Day advanced to area with their proficiencies. Megan Day, Jennifer Stanley and Kyla Seale advanced to state! Kyla Seale was elected district sentinel. Dakota Needler and Claire Martens competed in public speaking. Kyla Seale, Megan Day, Jennifer Stanley and Taitelyn Morris advanced to area in senior prepared public speaking. Beth Martens advanced in Soil Stewardship. Avery Slocum advanced in junior prepared public speaking and Kayla Seale advanced to area in extemporaneous speaking. Great job! 2015 proved to be another successful year for LDEs. We won the sweepstakes award for the first time! 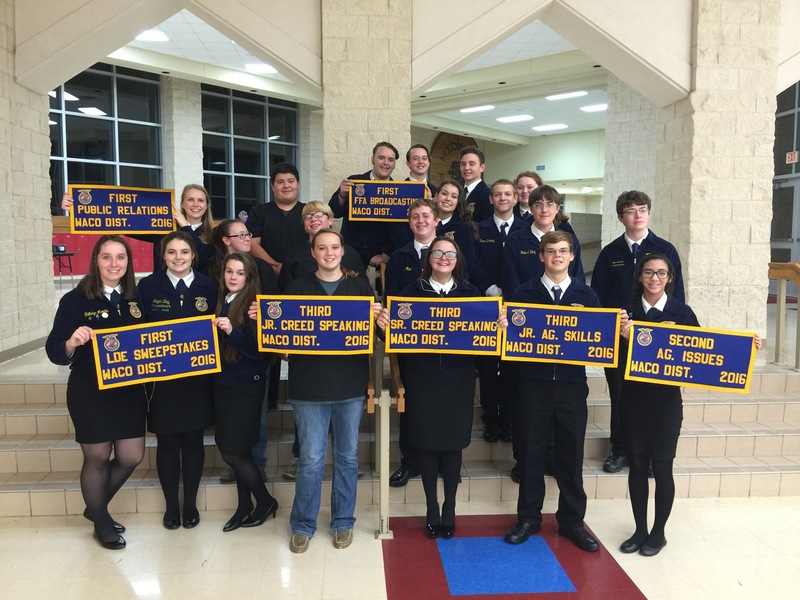 Radio, Public Relations and Ag Issues advanced to area and Ag Issues advanced to state. Job well done! 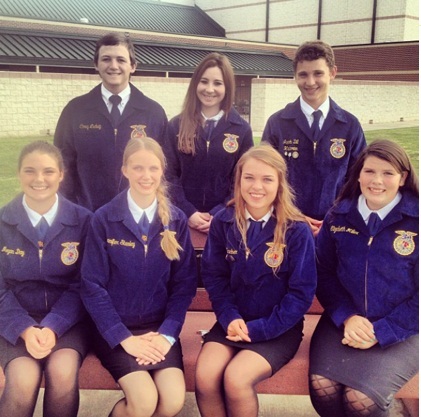 The Texas FFA State Convention was held July 13-17, 2015 in Corpus Christi. Joseph Reynoso placed 8th in the Extemporaneous Public speaking state competition- our first member ever to advance to the finals round! We earned a Golden Horizon award and four members earned their Lone Star degrees. What a week! Not to mention the trip to the beach, the fun time at Glow Golf and the awesome food at the original Landry's Seafood and Fogo de Chao. Meet the 2015-2016 chapter officers here! The 2015 Waco District Convention is in the books! Second place CDE Sweepstakes! 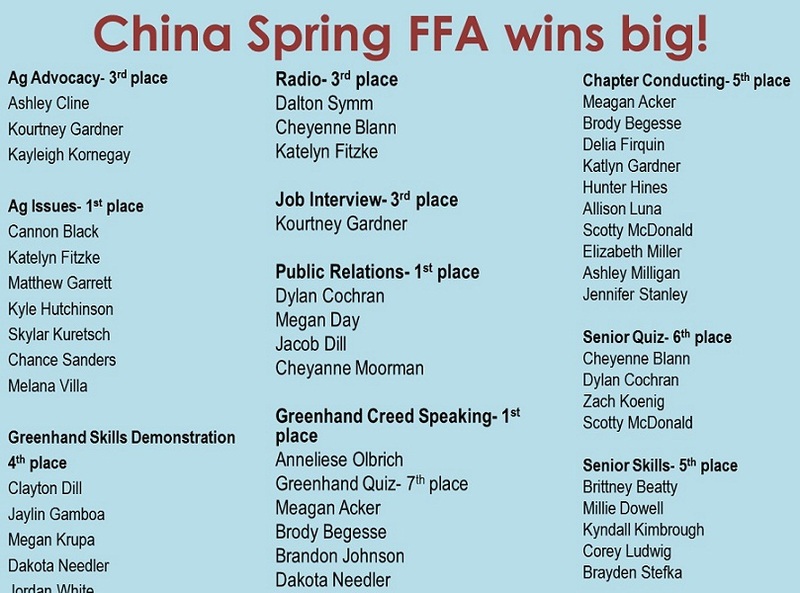 2014 FFA LDE teams represent China Spring well! We placed 4th in district sweepstakes! Congratulations to senior creed speaking and job interview for advancing to area. 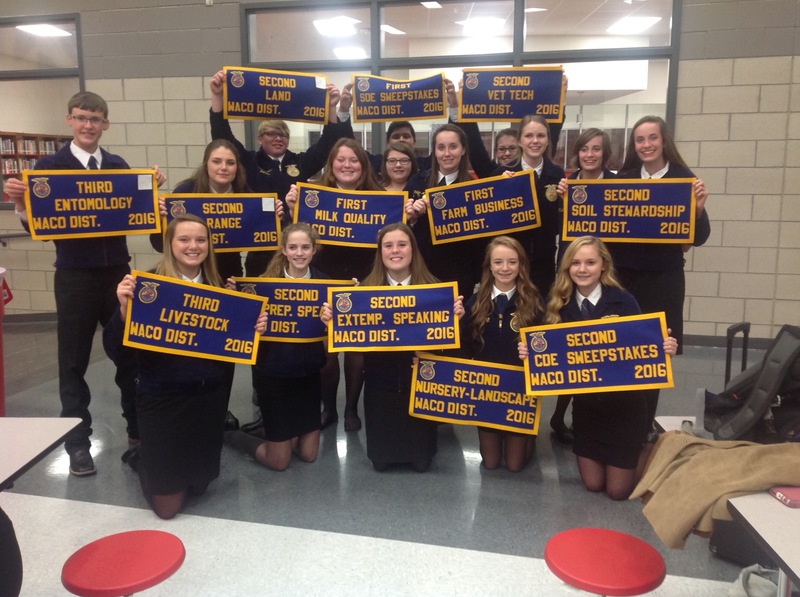 Good luck to public relations and ag issues at state contest! 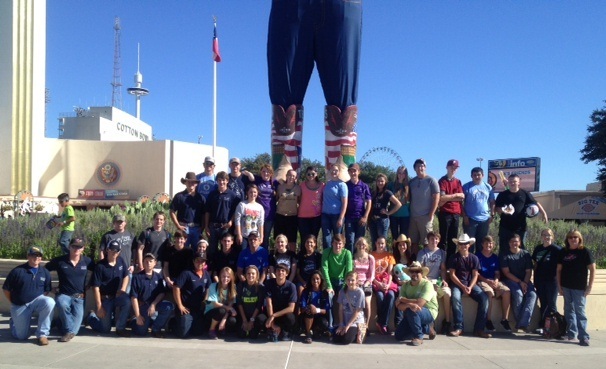 The Texas FFA State Convention was held July 14-18, 2014 in Fort Worth. Our chapter was recognized as a top 20 chapter in the state, we had 5 runners and 2 medalists in the Blue & Gold 5K, Megan Day placed 5th in her public speaking state competition, we earned a Golden Horizon award, 3 members earned their Lone Star degrees and 2 Honorary Lone Star degrees were bestowed. What a week! Not to mention the community service project at Mission Arlington, the fun time at Hurricane Harbor and Altitude Trampoline Park, and the awesome food at Saltgrass Steakhouse and Texas de Brazil. What a year! 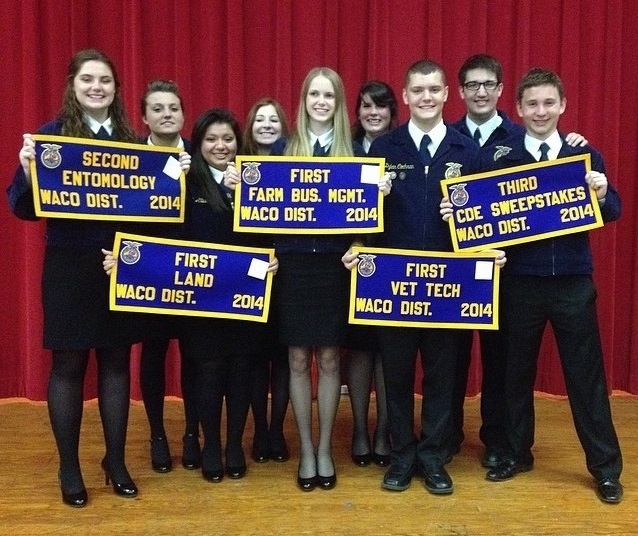 We placed 3rd in 2014 district CDE sweepstakes! Four CDE teams competed at state and 1 public speaker advanced to state contest this summer! Information about student Veterinary Assistant Certificates can be found on the Small Animal Management class page. We had a great time at Ag Awareness Day at the State Fair of Texas! A few FFA members traveled to Midway High School to attend the Area VIII Awards Banquet. We had a great time! 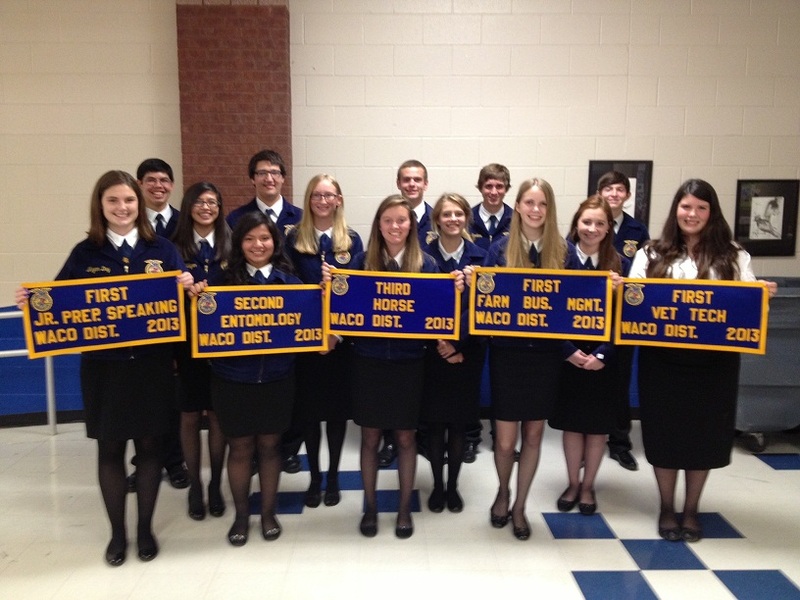 Great job, 2013 CDE teams! We won enough banners to place 4th in Sweepstakes! Congratulations to all our 2012 LDE teams! Great job by ALL at the Waco District contest!